There are two types of foodservice operations in healthcare facilities: self-operated and contracted. Our self-operated operations are "in house," meaning the foodservice department is managed by the healthcare facility's own staff. Contracted operations are outsourced, meaning the foodservice department is run by an outside, third-party foodservice company. 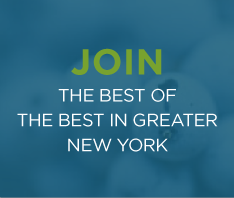 All of AHF New York’s food and nutrition professionals come from operations that are self-operated. This is important because self-operation means the foodservice department is run by the healthcare organization, assuring food and nutrition is aligned with the organization’s mission. It makes foodservice a core component of overall healing and well-being. Self-operated healthcare foodservice professionals continually find ways to improve patient satisfaction, think creatively, focus on innovation, tap into critical tools and resources and institute best practices. After all, the food that nourishes our bodies is at the core of health and healing! To learn more about the many advantages of self-operated healthcare foodservice, click here.